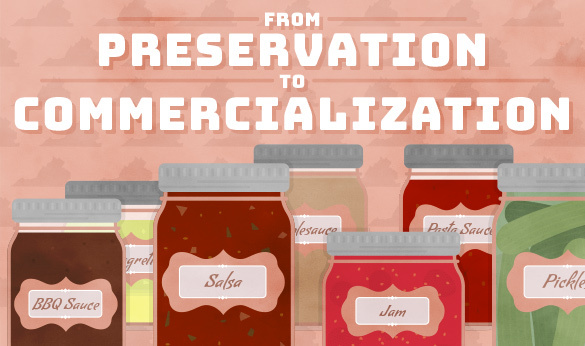 The United States has a long tradition of canning food, from the time when it was a necessity because of a lack of refrigeration to today. In times of war, government officials have encouraged citizens to grow gardens and can the results so manufactured canned foods could be redirected to the front lines. 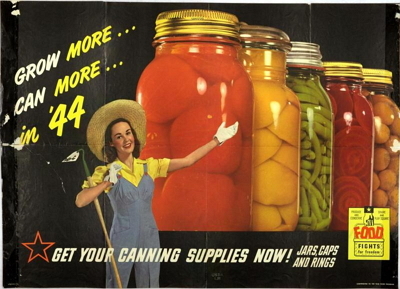 Canning reached its peak during World War II, but the increase in home refrigeration contributed to the hobby’s decline. However, a relic of those times, the Prince Edward Public Cannery, survives to this day and now houses Virginia Food Works, which uses the commercial kitchen to come to the aid of small businesses. Prince Edward County in Central Virginia is home to one of the few public canneries still open, a relic of those wartime campaigns that encouraged bulk canning. Given the large equipment and storage space required, that work was difficult to do in home kitchens. Today, the cannery is under the management of Virginia Food Works, and is used by residential and commercial customers alike. The commercial kitchen space provided by the public cannery gave Virginia Food Works a platform to help more people. With the facility licensed as a commercial kitchen, Virginia Food Works has been able to help farmers and small businesses get their products from harvest to store shelves. However, ensuring the product has the right pH often isn’t quite enough. To help ensure the foods produced in the kitchen are safe and shelf-stable, most items undergo testing. Once the food is approved for production, Virginia Food Works continues working with the producer all through production. The recent focus on the locavore movement was hard to bring to Virginia until very recently, despite its rich farmlands. Most of Virginia’s produce was being sent out of state for processing, a trend Hill hopes to help reverse. That niche is about to expand, thanks to a grant from the USDA making the cannery’s services even more convenient. Virginia Food Works offers a co-packing service that allows farmers and businesses to simply drop off their produce for processing. This new service will offer opportunities for local farmers looking to offer a value-added product from their less-desirable produce. While canneries have all but faded out across the country, the concept of shared kitchen spaces is growing in popularity. “I have to say, this is a wonderful project, but it really counts on a county like Prince Edward being so supportive of the cannery,” Hill says.